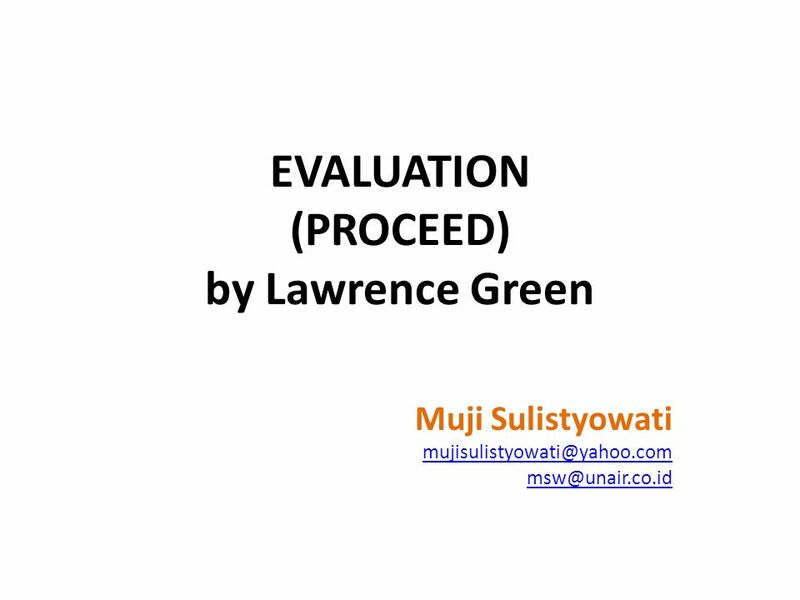 Download ppt "EVALUATION (PROCEED) by Lawrence Green Muji Sulistyowati"
1 Using Data to Drive Health System Performance Commissioned from Ovations by the National Primary and Care Trust Development Programme. 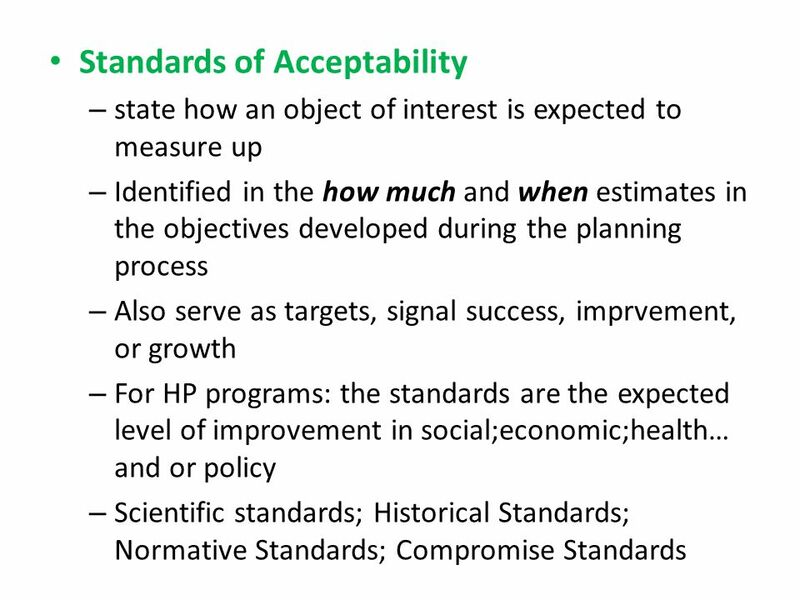 National Public Health Performance Standards Program Orientation to the Essential Public Health Services. PP4SD & Science Council Workshop 27th November 2006 Skills for Sustainability. Skills Needs: An Employers perspective Richard Howell Sustainable Development. Overview M&E Capacity Strengthening Workshop, Maputo 19 and 20 September 2011. 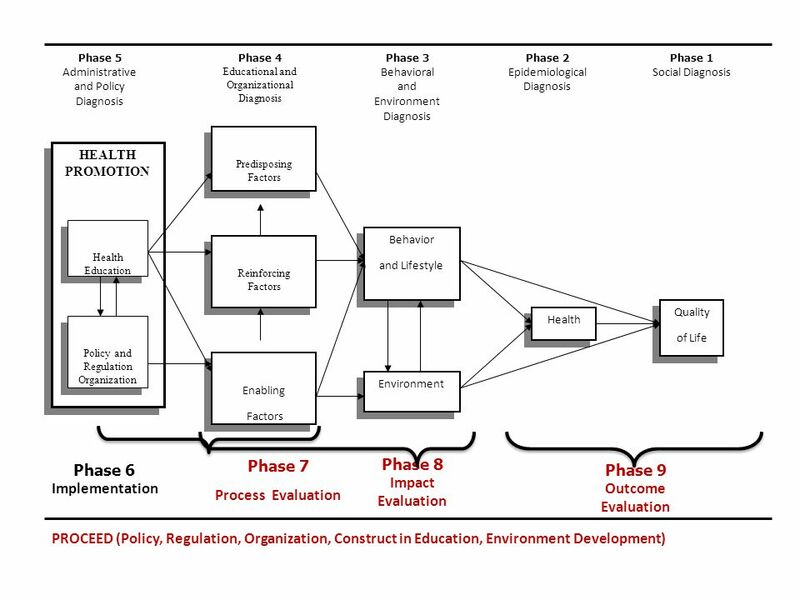 Logic Models and Evaluation Glen W. White 1 Jamie Simpson 2 1 University of Kansas, Research and Training Center on Independent Living 2 Kansas Department. 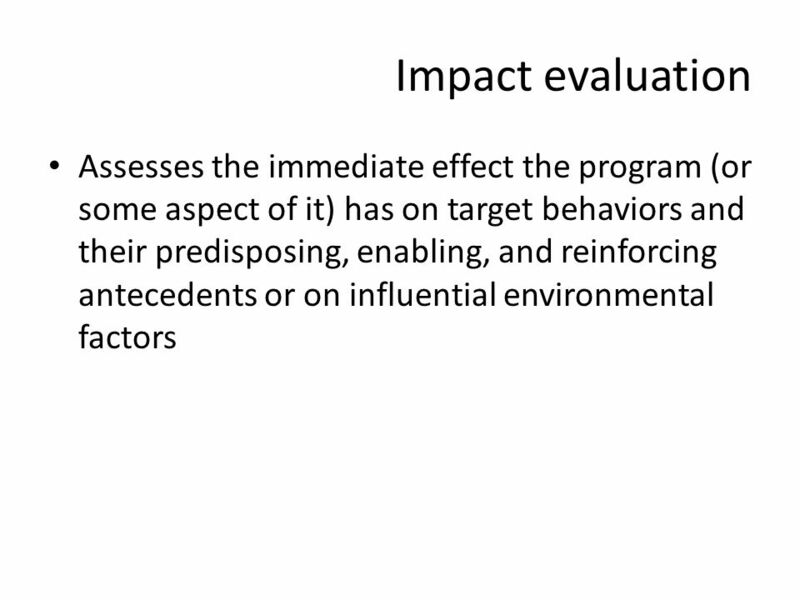 Chapter 1: An Overview of Program Evaluation Presenter: Stephanie Peterson. 15-18 Nov 2011Regional CH PM Meeting, KTM1 Child health programmes: What do we need to measure? 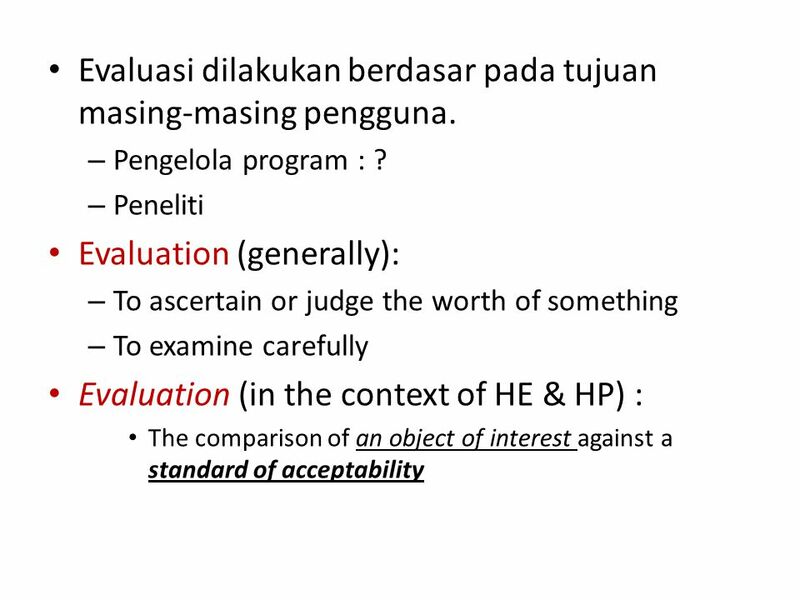 CAH-SEARO. 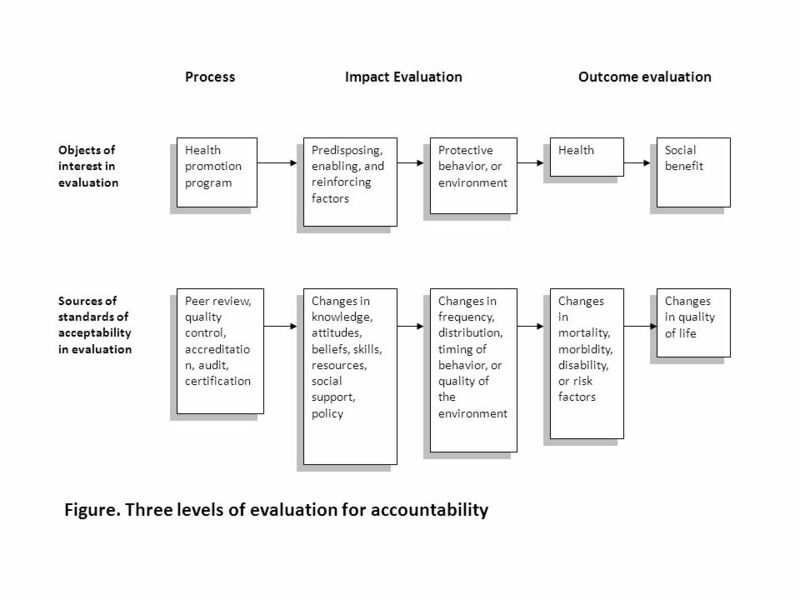 A Program Evaluation Strategy The Causal Pathway. Printed by Application of the PRECEDE model to obesity prevention Sally Black, RN, PhD & Cayley Warner, RD Saint Joseph’s University. 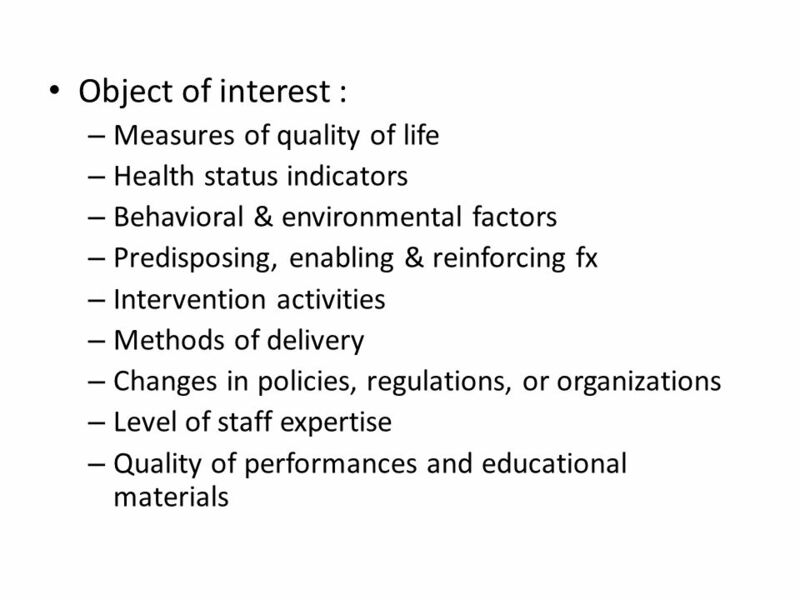 Foci on Health Needs Public health imperative: concern with total population needs and the development of strategies based on prevention and health promotion. 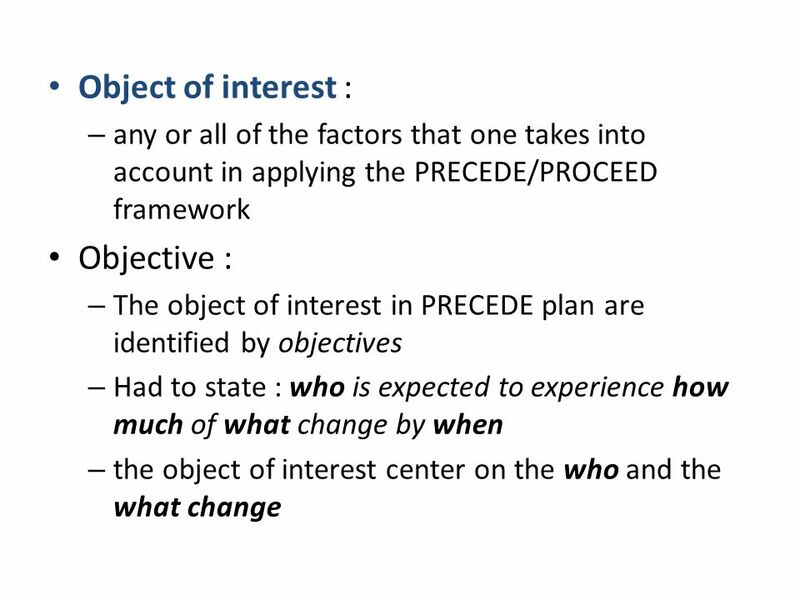 1 Minority SA/HIV Initiative MAI Training SPF Step 3 – Planning Presented By: Tracy Johnson, CSAP’s Central CAPT Janer Hernandez, CSAP’s Northeast CAPT. 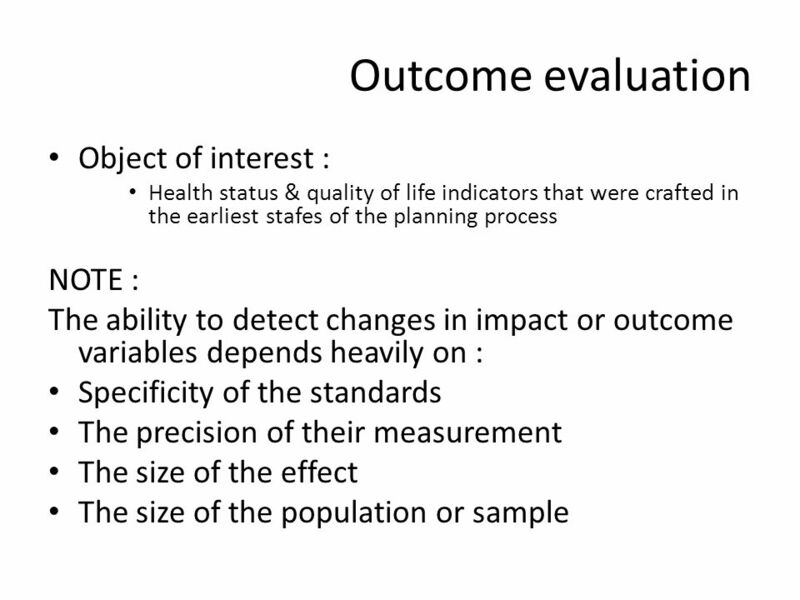 Title : Application of Behavioral Analysis phase of PRECEDE Model for Quality of Life Survey in Postmenopausal women in Birjand By: Mohammad Reza Miri.